2015 is the year of the Diamond Path. It is a year in which we celebrate our essence as magical co-creators of our reality. Prepare to embrace your skills as a Master of Light as you ride the waves of Love and Abundance in 2015. Connecting with your inner divine essence is the first step...The Adventure is how you express that as you! 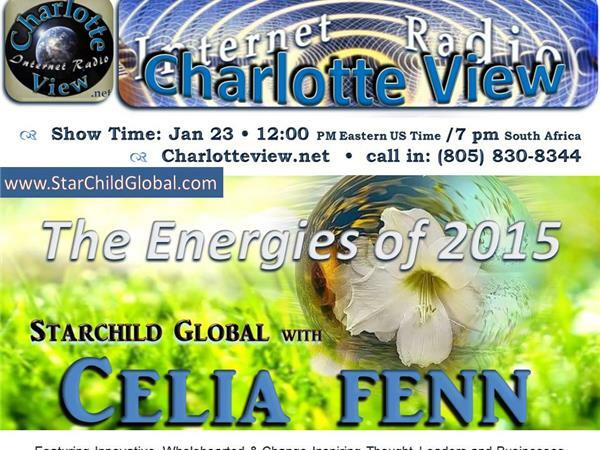 Celia Fenn is a Channel for Archangel Michael and a Spiritual Facilitator, Writer and Speaker/Performer, and the Founder of Starchild Global. She travels the world to work with groups of people, working with the energies of Archangel Michael, the Elohim Angels, the Councils of Light, as well as the Cetaceans, to bring information about the transformation and ascension of the planet, the Christ Consciousness and the Diamond Codes, the significance of the Grail Codes and the Sacred Heart, and the work of the Indigo and Crystal and Diamond Star Children at this time. Her latest book is The Diamond Codes : Light Information for the New Reality which helps people to understand the nature of the multi-dimensional post 2012 planetary reality.